Explore the famous sights of London from a completely new perspective, as you soar high above the ground on this 18 minute London helicopter flight! Helicopter rides are incredibly popular gifts for celebrating special occasions, for tourists in a new area, or for those who simply love to try new and exciting experiences. The London Sights flight is the only helicopter tour to take-off from central London, so this is truly a once in a lifetime aerial adventure. The experience begins on arrival at the heliport, where you'll meet the pilot and the rest of the passengers on the flight. 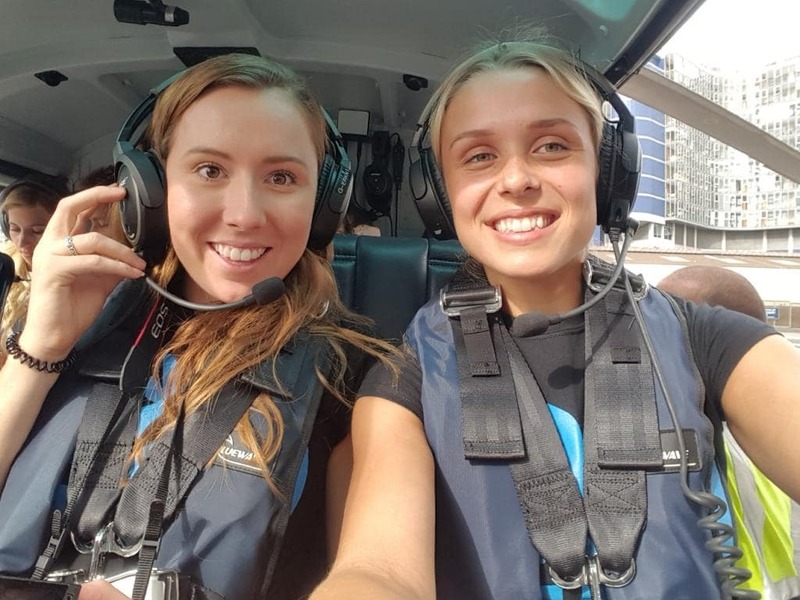 Once you've heard the safety brief and been securely strapped into the aircraft, you'll experience the adrenalin-pumping thrill of a vertical take off and watch the capital city appear beneath you. 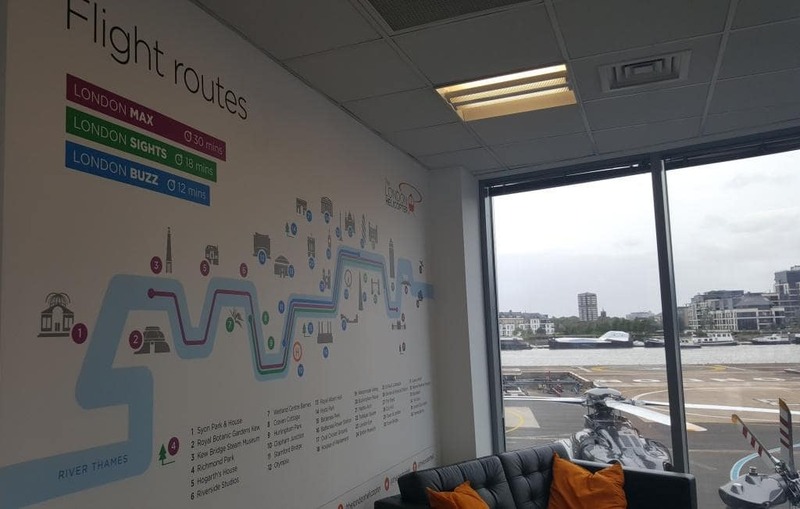 The flight path follows the River Thames, so along the journey you'll see such famous sights as the Royal Albert Hall, Trafalgar Square, The Shard, and many more! There will be plenty of opportunity to take fabulous photos during the 20 minute flight, so make sure you bring your camera and turn your friends green with jealousy. The flight comes to an end back in Battersea, where you're free to leave and enjoy the rest of your time in London. There are few better ways to see London than on an aerial tour, making this flight a particularly unique and thoughtful gift for a friend or loved one. The London Sights Helicopter Ride is available throughout the year and is subject to availability. Monday, Friday, Saturday & Sunday. Helicopter rides are particularly popular, so advance booking is essential to secure a seat. Passengers who suffer from limited mobility, heart conditions, epilepsy, or are pregnant should consult a doctor before flying. The London sights flight lasts approximately 20 minutes, however passengers must arrive 20 minutes before departure. Participants: The London Sights Helicopter Ride is for 1 participant. The helicopter can hold up to six people. There is minimal space for spectators to watch from the tour office, however the Crowne Plaza London Hotel is next door, which has a bar overlooking the heli-pad. Life jackets will be provided by the tour company, and passengers should wear comfortable, non-restricting clothing. Don't forget to bring a camera! The pilot will decide on the morning of the experience whether the flight will go ahead, so all passengers must ensure they can be contacted by phone or email on the day. If the flight is cancelled, it will simply be rearranged for another date. What an experience!! I have never been in a helicopter before and didn't know what to expect and was a little apprehensive. However, I had the best time! The views were just unbelievable of London and it was great to receive a little bit of commentary by the pilot along the way as he pointed out the famous landmarks. This has to be one of the most amazing experiences I have taken part in. A big thanks to Fraser (our pilot) for being so chatty and showing us famous parts of London. Would definitely do this again! Loved it ! Pilot and staff made us feel very comfy and were very informative! You never really have seen London without doing this experience - really worth it! Would do it again! Arriving at Clapham Junction, Rebecca and I were bursting with excitement. 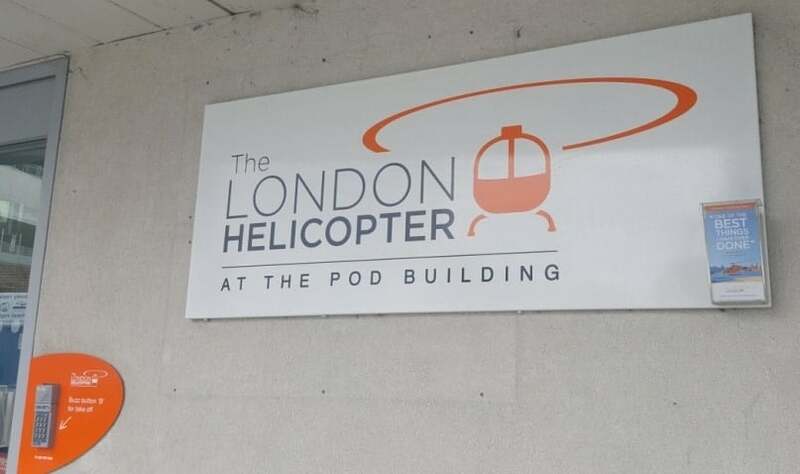 Following a short 15-minute walk, we arrived at The Pod Building, at Battersea Heliport. As we pressed the buzzer to get in, the doors slid open, to reveal a set of stairs with directions to reception. With the front desk now in front of us, we were given a warm welcome and quickly checked in. Once checked in, we noticed the incredible location of the heliport, right by the River Thames. By now, we could barely contain our excitement as we witnessed helicopters taking off and landing, full of eager passengers. This was also a great opportunity to take photos of the surroundings. After a short wait in the seating area, we were led downstairs to go through the safety briefing. This included a short but descriptive video and was a necessary part of the experience. Before we knew it, it was time for our flight. With our life jackets on, and safety briefing complete – it was time to fly. Led by security to our front seats, our friendly pilot, Fraser, introduced himself, before helping to adjust our seat-belts and headsets. Once Fraser had made sure everyone was happy before take-off, the engine started and we began to lift off. This was such a surreal feeling, I was speechless by this point… might I add, that doesn’t happen very often! Throughout our flight, Fraser, pointed out the famous landmarks below. Right from the beginning, we saw numerous famous and historical sights, including Clapham Junction, Olympia, the Royal Albert Hall, Hyde Park, Westminster Abbey, the London Eye, The Shard, and many more! Rebecca and I were completely blown away by the incredible views and sights we witnessed throughout. Our 18-minute flight was already coming to an end – it felt like the fastest moment of my life, but one of the most memorable. All the staff were extremely welcoming and friendly, which made the whole experience even better – hard to believe as the flight was amazing on its own. There’s no doubt in my mind – I will be back. Thank you so much to the team at The London Helicopter – this is now ticked off my bucket list!